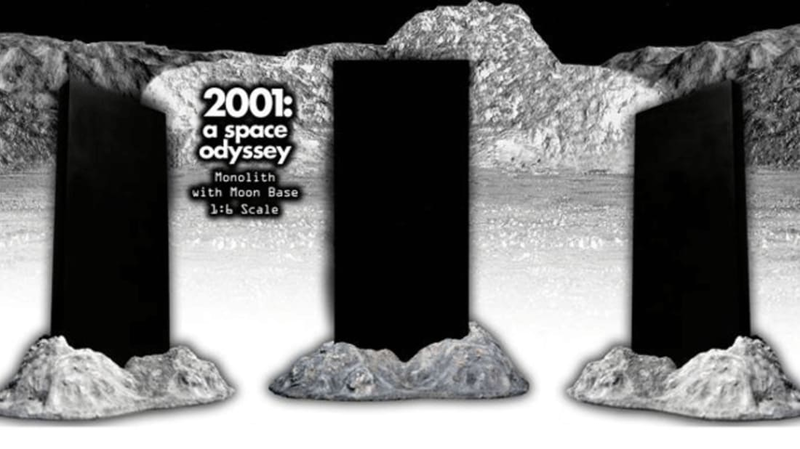 In Stanley Kubrick's 1968 film 2001: A Space Odyssey, the monolith is one of the most striking pieces of imagery. Now, collectors of unremarkable movie memorabilia can purchase an official monolith at one-sixth the size. As Nerdist reports, tongue-in-cheek monolith "toys" have been sold in the past. This, however, is the first one that's been officially licensed by MGM. It measures 2 feet tall, making it the perfect size for any 2001 action figures you already have at home. The item is for serious fans only. Made from plexiglass mounted on a moon-rock base, the replica will set buyers back about $300. They're currently only available for pre-order, with shipping estimated for later this year. If you can't wait to add one to your collection, you can reserve one now with a non-refundable down payment of $75.